Black Panther looks cool. I feel like I will want to start most of these entries off with that sentence. I have no personal connection to Black Panther. I didn’t really know anything about him until I went back and started reading comic books again a few years ago. If I’m honest, I don’t think he had a huge amount of traction until the recently anyway. I’ve liked what I’ve seen of the character from his appearance in Civil War, and I appreciate Marvel’s approach of introducing a character before their solo movie. Origin stories are really tired right now and I’m glad they don’t feel the need to do one for every new character they bring in. 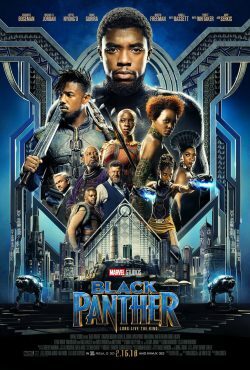 The trailer was filled with some very nice visuals of Wakanda; a hyper technological city that still seems to deeply respect its cultural traditions. Other than that though, it didn’t do much for me. My lack of a connection to the character, coupled with very little being given away in terms of the movie’s plot, I can’t get too worked up about it. Plus, the villain is the evil mirror image archtype. It seems he has almost the same suit as Panther, if not the same power set. That’s another lazy feeling choice, considering these movies have a problem with their villains anyway. I mean the Iron Monger was just evil Iron Man, X-24 was literally an evil clone of Logan, Zod, Abomination, Winter Solider, Yellow Jacket… I could go on but you get the point. I’m sure it made for cutting metaphor in the comics, The dark parallel to the hero… but here it always seems trite. Maybe I’m not too into Black Panther because I get the sense the movie wasn’t necessarily made for me. That it has a different primary target audience. It’s the same reason that, while I really enjoyed Luke Cage, I felt a lot of it felt lost on me because it wasn’t designed to resonate with me. Which is fine. Not everything has to be for me. Whether this turns out to be the case when I eventually see it remains to be seen. This one kind of surprised me. I’d heard the scuttlebutt about Fox making a spin off movie by this name, but for some reason I never looked into it. It wasn’t until I just watched the trailer for this that I actually got a sense for what they were doing here. The trailer starts out pretty creepy, it has a totally different vibe than I’ve seen from a Fox or Marvel trailer in the past. 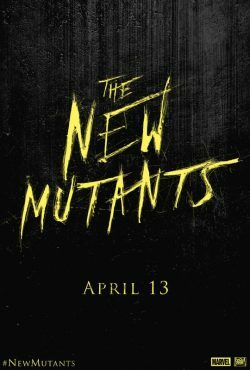 The Black Panther trailer was generic as trailers for this genre can get, I got the sense The New Mutants is something completely different. Fox have been far more experimental with their portion of the Marvel franchise these past few years. Legion was weird as hell and I loved it for that reason. It was part way through the trailer that the penny actually dropped for me: This is a horror movie… There has been rumour that we’d get a full on horror movie out of a comic book sooner or later, it looks like it’s finally here. As I got to the tail end of the trailer; I wasn’t as impressed as I was at the beginning; as I felt it started to overload jump scares, but that’s what trailers do. I do really appreciative that Fox are being experimental with their properties rather than going for safe bets all the time. Deadpool and Logan were straight up R rated movies for adult type adults and they sold incredibly well. It’s this adventurous approach that makes me interested to see what this movie ends up being. Fox are already talking about making it into a trilogy. So there are plans for these characters to have legs beyond this entry, which means the characters aren’t as expendable as they can be in most horror movies. I like a lot of the young, upcoming faces in the movie as well. Maisie Williams is my favourite actor to come out of Game of Thrones, her role in Doctor Who was brilliant too. I hope it does well for the likes of her and Charlie Heaton, giving them the push into movie acting they deserve. I like this look of this one. I have high hopes for another unusual X-Men Spin off. I spoke about this one already. I am looking forward to Infinity War. Not because The premise seems cool, or because I saw a good trailer, but because Marvel has done such a good job of building up to it, and made it feel more like an event than a movie. Like what happened around the release of the first Avengers movie, only on a larger scale. Marvel earned my excitement for this one. This feels like must watch movie in my books, being a culmination of events from movies as far back as the first Captain America. 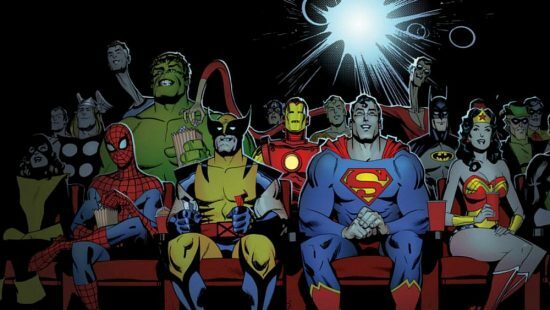 On top of that, we’re going to get to see the Guardians of the Galaxy interact with the rest of the MCU, which has been something on my personal wishlist since the first Guardians came out. Infinity War is the one movie on this list that I’m looking forward to based purely on my good will for the series. My only hope is that it doesn’t feel too derivative of the other Avenger’s movies like Ultron did with the first one in broad strokes. I don’t really want the movie to end with the Avengers fighting waves of faceless CG fodder. I want Thanos to be a true force on his own, like Ultron should have been, taking down the collective Avengers by himself. This probably is my most anticipated movie on this whole list if I’m real honest. Not just for the movie itself, but for what comes after it. This movie is going to be an event. I just hope it can stick the landing better than Ultron did. Lighting in a bottle feels like my best description of the first Deadpool. It was this perfect storm of ridiculous, hilarious and really smart. 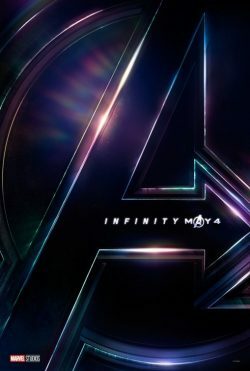 It was a movie that managed to be filled with low brow, adolescent humour, but simultaneously capture the essence of the character and poke fun at not only itself, but the genre of superhero cinema too, it was refreshing. I can only wonder if they can do it again. I felt the same way about Guardians of the Galaxy, and while I enjoyed the sequel, I don’t think it was as good as the original, and I feel like Deadpool 2 might suffer the same fate. My concerns over the movie really started when there were reports of creative differences between Ryan Reynolds and the returning director: Tim Miller. I liked the idea of Miller doing something weird and unexpected with the sequel like he was planning, which feels like it would have fit with the surprise that was the first movie. But with Reynold’s increased creative control, it’s all the more likely that this will be a “more of the same” job. Which is fine, but I think I’d always take a new, unique spin on something rather than a safe bet. I hope a safe bet isn’t what Deadpool turns out to be though. The first movie did very well for being so subversive, and I’d hate for the second movie to be predictable. Which could be the worst thing that could happen to it. Both of the teasers revealed were delightfully absurd though. So right now, I’m optimistic. 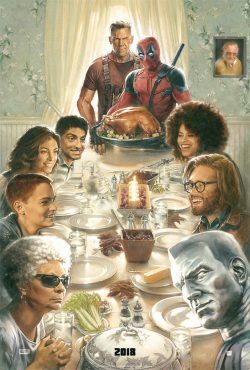 And let’s be honest, Cable being in there has to be great. The trailer was… cool. I did like the first Ant-Man. It was a great breath of fresh air after Age of Ultron. The release of this movie feels like it’s meant to serve a similar purpose. I get the impression that Infinity War might have a pretty heavy ending, after that some humour is probably a necessity. Other than some dumb visual gags though, the trailer feels pretty meh. I get the feeling most of Marvel’s trailers follow the same songbook every time now. Which doesn’t always reflect the type of movie they’re making. What actually interests me the most about this movie is the prospect of it being a Evangiline Lily vehicle. I like Paul Rudd, but his character is a bumbling dope. Even in the first movie, Lily’s character was the competent one. Lang mostly just gets by through dumb luck. None of these are bad things by the way. 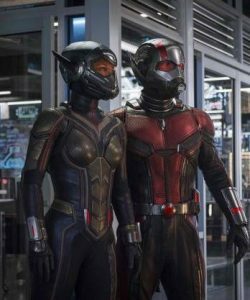 Despite being billed first in the title, I get the impression this is going to be the Wasp’s movie, and I’m fine with that. This movie is going to be all about its visual gags, growing and shrinking things that shouldn’t be that big and/or small. There is plenty of that in this movie. That, coupled with a much more capable protagonist in the Wasp, this could shape up to be a good time. It’s finally happening. It’s been years and the Venom movie is finally happening. I don’t honestly know what to think about this one yet, mainly because nothing has been announced. 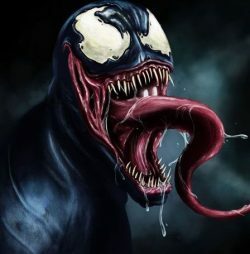 All I know is Tom Hardy is playing Eddie Brock and it’s going to be rated R.
That fact alone fills me with some hope. Spider-Man has always been my favourite superhero, so to see the Venom movie actually happening is always going to be something I anticipate. The fact that it’s going to be horror inspired, body horror movie makes me look forward to it all the more. Fox have had real success with making more adult focused movies with Deadpool and Logan, so the prospect of seeing some real messed up, dark antihero action with Eddie Brock is an interesting prospect. Plus it’s Tom Hardy. I’ve heard that Sony might be interested in dabbling with the idea of adding aspects of the “Space Knight” version of the character into this movie. I’m not sure what to think about that one. If you want to do Venom as part of the Guardians of the Galaxy, you go in whole hog or you don’t. I’m more worried that if they dabble with it here then it’s less likely we’ll get the proper Space Knight movie down the road. But look at me, making wild speculations when there is nothing concrete to say about the movie in the first place. Watch this space I guess. It’s pretty much a blank slate at the moment. Not interested in the slightest. As good as First Class and Days of Future Past were, Apocalypse was a wet fart. The new cast of actors playing the young mainstays of Cyclops, Jean Gray etc. did nothing for me. None of their performances inspired me. They felt flat and uninteresting, while the most interesting characters got pushed further into the background. There was no ambition in Apocalypse. It felt a lot more like the old X-Men movies. Movies which I just don’t like. I know a lot of people have nostalgia for them, but they just don’t hold up up at all. It hardly made use of it’s 80s setting, and I don’t think this one will either. Fox’s marketing department did more with the setting than the movie itself. This is the one movie on this list I’m not sure I’m going to see. Aside from McAvoy and Fassbender, there is nothing that interests me in these movies. Fassbender has always brought an intimidating intensity to the role each time he has played Magneto and is oftentimes the highlight. My favourite scene in Apocalypse was one that focused entirely on him. But he wasn’t in it anywhere near enough, instead the focus was on the young actors. Sophie Turner is a bad actress, I’ll just say it. She’s like a cardboard potato. 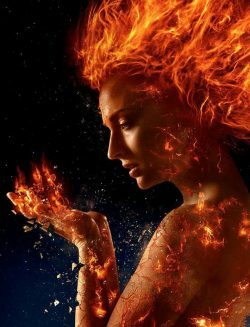 As impressed as I have been with Fox lately, their mainline X-Men movies are the weakest things they’ve got coming out. It only makes me wonder all the more what Disney are planning with them now they’ve brought them into the fold. Now I’m no expert on DC, I know enough to get by. But I’m not invested enough to, say, get upset that a movie version of a character strays far from the traditional representation said character in its source material. Especially when it’s for the sake of marketing and distancing a franchise from a negative stigma that pop culture has created for it. That may have sounded like sarcasm, but it really isn’t. 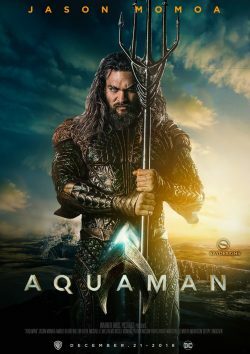 All I know about Aquaman comes from pop culture, the jokes about how useless he is because his only unique superpower is his ability to talk to fish. Those who know more about the character have ensured me that he is a much deeper and more interesting character than that. In fact, DC have been battling an image problem for Aquaman for decades. What I do know about the character is that a lot of his stores are about the struggles of leadership, especially when it is forced upon you. An Aquaman comic is as much about leading a nation as it is about punching a sinister scuba diver. My main issue is while I liked him in Justice League, I always felt like I was watching Jason Momos on screen and not Aquaman, I struggled to make the disconnect. I am not really sold on the character after his appearance in Justice league. Aquaman was, to me, the least interesting of the characters who made their debut in that movie. Seriously, as dull as Cyborg was in that movie, the potential around the character’s abilities were kind of fascinating. I don’t have high hopes for Aquaman being much beyond a bread and butter action movie. I’d like it to surprise me and turn into a political thriller, but I’m not getting my hopes up when the movie is being lead by a pretty limited actor. So I’m not holding my breath. Speaking of which, how does an underwater society function when you need a water wizard present to make a giant air bubble every time you want to have a conversation with someone. I’ll probably talk about each of these movies more as they come out and I see them. But after writing all of that, I notice that while I am interested and looking forward to certain movies on this list. I wouldn’t describe as “excited” to see any of them, except maybe Infinity War. My reactions to a lot of these were pretty muted. I hope I’m not just becoming the anti-fun guy when it comes to these movies, and that I can get worked up about them when I actually see them. Posted on February 5, 2018 February 4, 2018 by WooderonPosted in Lists:, MoviesTagged 20th century fox, ant-man, aquaman, avengers, black panther, cable, dark phoenix, DC, deadpool, deadpool 2, disney, fox, infinity war, Marvel Studios, mcu, thanos, the new mutants, the wasp, tom hardy, venom, x-men.